And something else...what is that one last ingredient? I'm having a hard time remembering...[scratches head]. Oh right, scrapple! HOLY PIG OFFAL! There's scrapple beer?!?! That's right, there is scrapple beer. 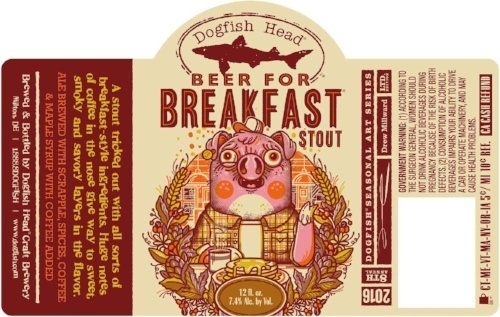 The idea for scrapple beer came because of Dogfish Head's 20th anniversary. When [Dogfish Head founder Sam] Calagione started the Rehoboth brewpub in 1995, one of the first beers he made was chicory stout. He wanted to return to his roots by creating a new breakfast beer. For the scrapple beer, Calagione used and doubled the original chicory recipe, but this time he used as many different breakfast items as possible, including its local and indigenousness centerpiece, scrapple. Dogfish Head is headquartered in Milton, Delaware, so his scrapple of choice is RAPA, whose factories are only 20 miles down the road. 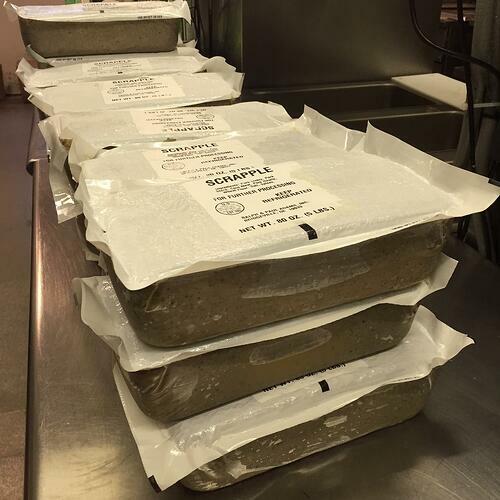 UPDATE: And, according to a recent Facebook post, Dogfish Head uses an "extra lean version of scrapple, prepared for this beer recipe" -- 350 pounds of it! The packaging certainly doesn't look like normal RAPA, though if you squint, you can make out the "Ralph & Paul Adams, Inc." on the label. You're probably thinking, "OK, listen, I love scrapple, but scrapple in beer? Is that such a good idea?" And the beer makers at Dogfish Head were one step ahead of you. Reading the immediate reviews after it was launched, and the online reviews at RateBeer.com, it sounds like the flavor is not extremely scrapple-heavy. Still, they ran out of that first batch pretty quickly and it sounds like they have only done special batches of Beer for Breakfast here and there. The original pub batch was around 10% ABV, whereas this winter’s release will be closer to 7.3%. The actual ingredients are all the same though, so expect the same delicious flavors as the pub batch, just scaled back in ABV a bit to be more production-friendly. 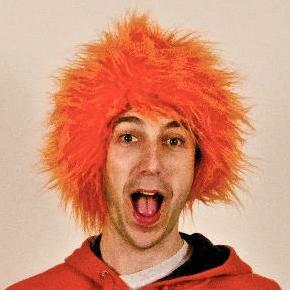 It’s gonna be awesome! The bottles will be available starting November 7, 2016, a date I assume we will eventually be celebrating as a national holiday. Scrapple Ice Cream Wasn't Real. And Then It Was.